“Restaurant Week Wailea” is our celebration of Wailea’s finest cuisine taking place at participating resort restaurants throughout Wailea twice each year. 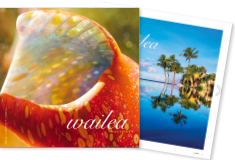 Wailea Resort is known for its award-winning culinary talent and delectable restaurants and celebrity chefs have once again created some remarkable three course, prix fixe menus for just $29* – $59* per person, so plan to join us. (*Depending on the restaurant – beverages, tax and gratuity not included.) Some restaurants enhance this promotion, by creating wine pairings to enjoy with your meal, at a special price. Participating restaurants and their menus are available here:. Each participating resort restaurant has agreed to make a contribution to the Maui Food Bank for every pre-fixe entrée sold during Restaurant Week Wailea, as part of the resort’s community giving program. No tickets, passes, or coupons needed ~ simply make your reservations and enjoy! However, please do join our Event on Facebook and share with friends. Download the November, 2018 Menu here. * These restaurants offer online reservations through OpenTable.com. Reservations are free and confirmed instantly 24 hours a day. No phone calls, no waiting! We are building an extensive library of video interviews with the amazing Wailea chefs who support our semi-annual event, Restaurant Week Wailea, in support of the Maui Food Bank. A few of the most recent ones are viewable on this page. There is a full archive of them on our Restaurant Week Wailea videos page, too. You can click that link to see more!